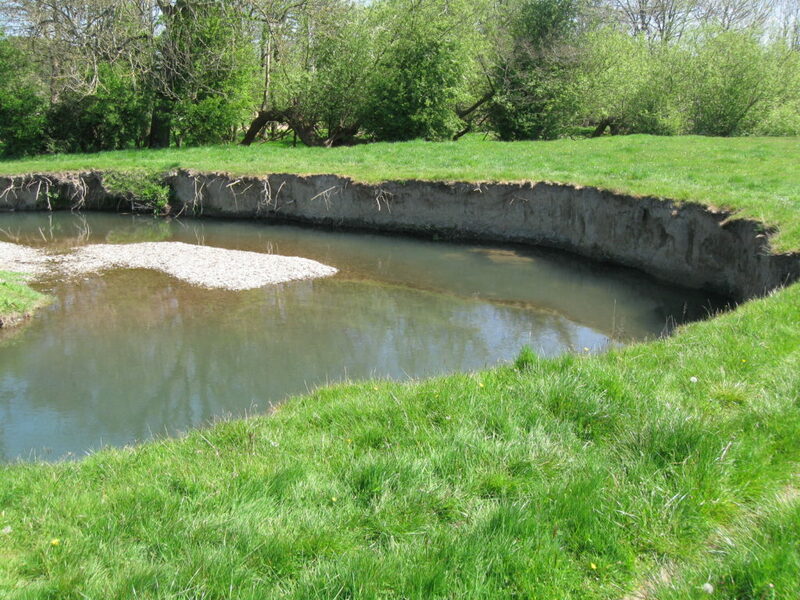 Last week we saw how a river eats away at the outside bank of a meander bend, undercutting until the bank collapses and gets washed away. So, is the river getting wider? Let’s look at what is happening on the opposite bank, on the inside bend of the curve. Remember the main flow keeps going in a straight line until the curve forces it round, just under the outside bank. So over there on the other bank, the water is barely moving at all in comparison. As the river is moving more slowly it doesn’t have the power to carry much along in its flow and so stuff tends to get dumped over there by the bank. You can see it better in this example because the water level is lower. The steep cliff-like bank has the main flow and the deepest water next to it. 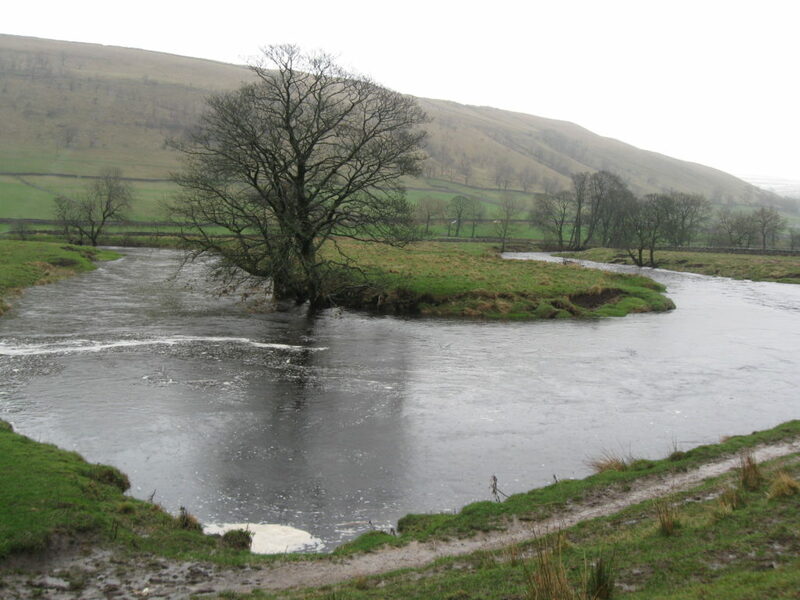 On the opposite side, the water is very shallow because the river has deposited some of its load. It’s called a point bar. So as the cliff gets worn back on the outside of the bend, deposits pile up on the inside of the bend. 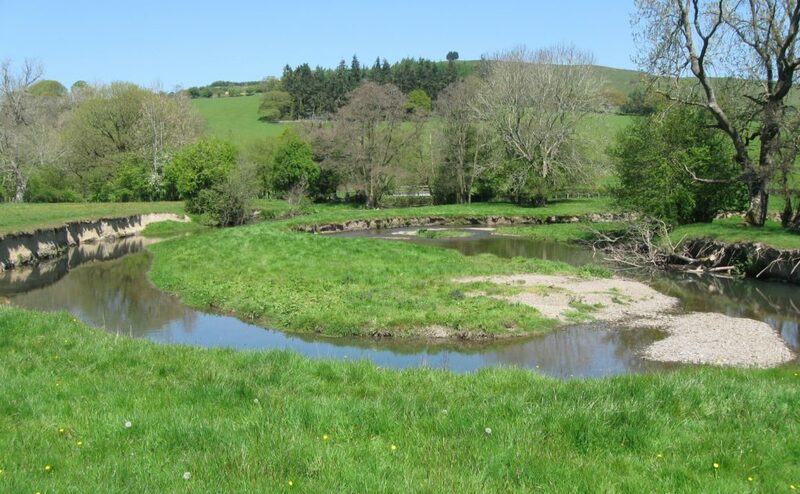 The grass will gradually spread across the new deposit and the river’s channel will have moved. So if you are looking at the route of a river on a map and it doesn’t quite match what you see in the landscape, it isn’t a cartographer’s mistake: the river has moved.